Home / Fruits / Pregnancy / Benefits of Dragon Fruit for Pregnancy. Benefits of Dragon Fruit for Pregnancy. Many benefits of dragon fruit for pregnancy. The content of vitamins and minerals in this fruit is beneficial for fetal development. Dragon fruit contains a variety of nutrients, including vitamin C, vitamin B1 (thiamine), vitamin B2 (riboflavin), carbohydrates, proteins, antioxidants, fiber, and iron. Not surprisingly, this fruit has health benefits, because it is rich in nutrients and nutrients needed by the body. Dragon Fruit Benefits for Pregnant Women. Taking vitamin C during pregnancy is very good for the health of pregnant women and their fetuses. Vitamin C is needed by the fetus to protect and maintain cell health, and form collagen in the bones, muscles, skin and blood vessels. This vitamin also helps the absorption of iron by the body. However, you must remain wise in taking vitamin C. Excess vitamin C during pregnancy can increase the risk of preterm birth. Pregnant women are advised to consume 9 to 11 servings of foods containing carbohydrates per day. Carbohydrates function as your energy source and help with fetal growth. You can get natural carbohydrate sources in dragon fruit. Dragon fruit meat contains about 11 grams of carbohydrates or 62 calories per serving. To meet carbohydrate intake, you can try additional carbohydrate food sources from rice, whole grain breads, cereals, and vegetables. Consuming antioxidants during pregnancy is useful for protecting the body from free radicals, controlling cholesterol levels, strengthening the immune system, preventing the growth of cancer cells, and helping the development of the fetal brain. Dragon fruit contains several types of antioxidants namely, betalain, hydroxycinnamates, and flavonoids. 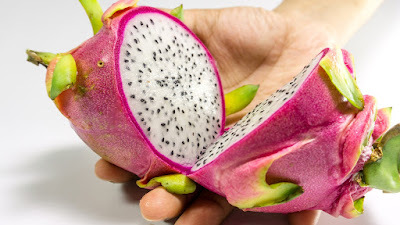 Besides dragon fruit, you can get antioxidants from other vegetables and fruits, such as apples, pears, grapes, broccoli, asparagus, and tomatoes. Pregnant women are advised to consume 25 to 35 grams of fiber per day. Fiber is useful for preventing constipation and helps the body remove toxins. Dragon fruit contains 3 grams of fiber per 100 grams. 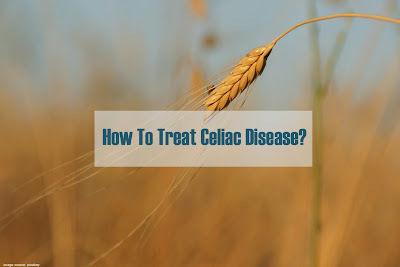 To provide additional fiber, you can eat other foods, such as cereals and bread from whole wheat. Important for pregnant women to meet iron requirements. Iron has an important role for fetal growth. In addition, adequate consumption of iron can improve the immune system and prevent anemia in pregnant women. Pregnant women need at least 27 mg of iron per day. You can meet iron needs by eating dragon fruit, this fruit supplies 10.6 percent of daily iron needs. Iron deficiency during pregnancy can cause premature babies and low baby weight. Dragon fruit also contains riboflavin which is useful to help the body produce energy. Riboflavin is needed by the fetus to help the growth of the baby's bones, muscles, and nerves. Pregnant women usually require 1.4 mg of riboflavin per day. Besides riboflavin, dragon fruit also contains thiamine needed by the fetus. Thiamine is needed by the fetus to help brain development. Nutrient content in dragon fruit helps pregnant women through a healthy and strong pregnancy. Various Alternatives in Consuming Dragon Fruit. Dragon fruit has a unique shape and has a variety of meat colors. There are several ways you can do to eat dragon fruit, such as being eaten directly or processed into fresh juice. In addition, you can also try other serving alternatives, such as mixing it into yogurt or making it into a fruit salad mixture. Although it has good nutritional content for pregnant women, so far there has been no research that ensures the safety of dragon fruit for pregnant women. Therefore, pregnant women are encouraged to eat dragon fruit in sufficient quantities and not too much. Also read, 8 Important Benefits of Apricots.